APU is committed to fostering an atmosphere wherein academics are not simply taught, but lived. Professors, experts in their respective fields and passionate about the subjects they teach, challenge and stretch their students to reach their goals. Students are impelled to think critically and analyze thoroughly what they learn in the classroom. Tim Samoff, MFA, is a professor and the program director for the B.A. in Games and Interactive Media in APU’s College of the Arts. For more than 30 years, he has worked as a game, UX, interactive, and web designer, having designed and produced more than 40 game titles and many other digital media projects. He holds a BFA in Experimental Animation from the California Institute of the Arts and an MFA in Interactive Design and Game Development from the Savannah College of Art and Design. 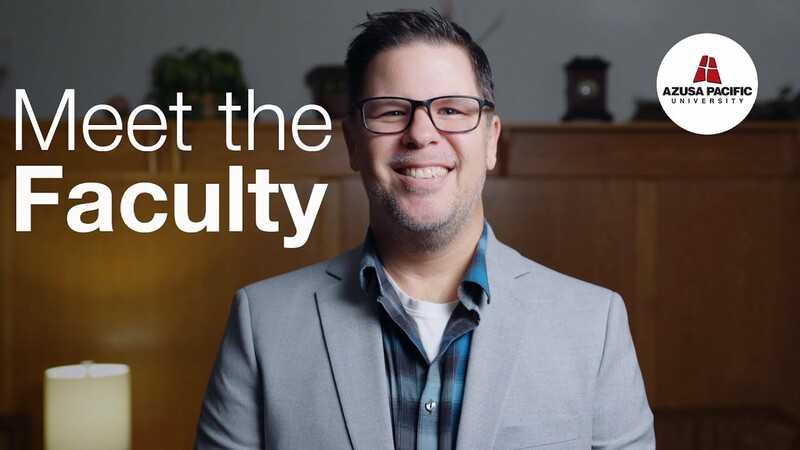 Meet the Faculty: Alan Oda, Ph.D.
Alan Oda, Ph.D., is an APU psychology professor whose current research is on the response of pastors to the needs of elderly congregants. A Southern California native, Oda received his Ph.D. in Psychology from the University of California, Riverside, specializing in developmental psychology. 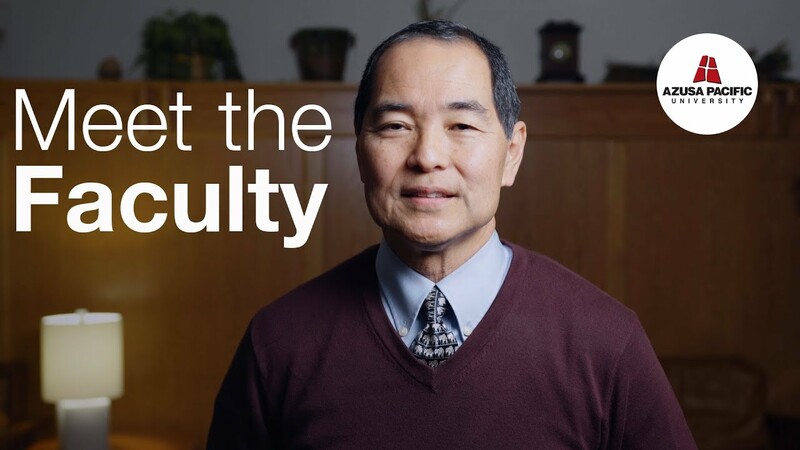 Oda is on the board of directors of the Asian American Christian Counseling Service, and has served on the Faithful Change national research team for the Council for Christian Colleges & Universities. After working as a lab tech at UCLA’s Neuropsychiatric Institute and as the project assistant for the Western Region Asian American Project, he completed his teaching internship at California State University, Northridge, which started his career in the classroom. Meet the Faculty: B.J. Oropeza, Ph.D.
B.J. Oropeza, Ph.D., is a professor of biblical studies in the Department of Biblical and Religious Studies at Azusa Pacific University. He has a Ph.D. in New Testament Theology from Durham University and has served as an author or editor on numerous books and publications, including Apostasy in the New Testament Communities, Jesus and Paul: Global Perspective in Honor of James D.G. Dunn, and The Gospel According to Superheroes: Religion and Popular Culture. 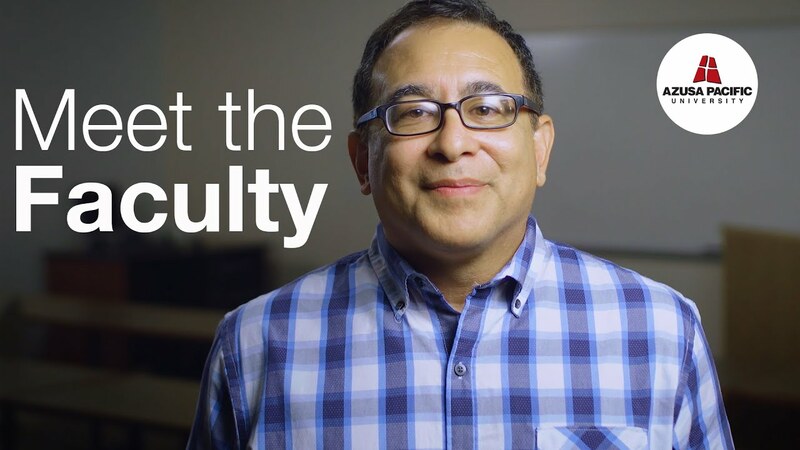 Meet more APU faculty at http://www.apu.edu/faculty/. 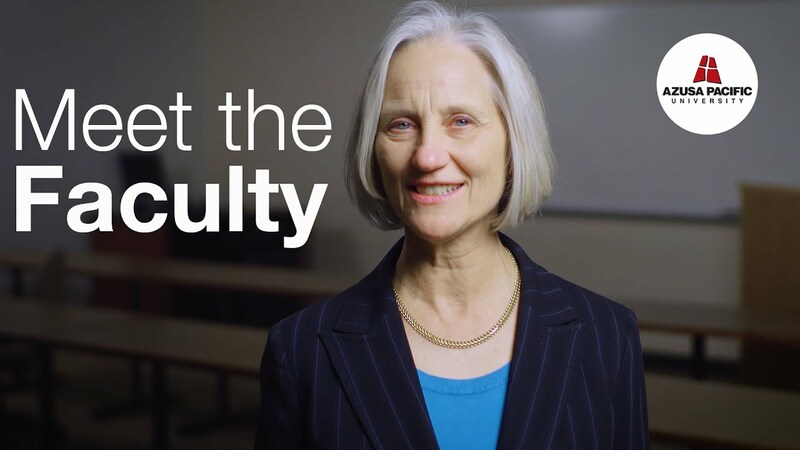 Meet the Faculty: Susan Shore, PT, Ph.D.
Susan Shore, PT, Ph.D., serves as chair and professor for the Department of Physical Therapy at Azusa Pacific University. She has a Ph.D. in Exercise Science from the University of Toronto. Shore has extensive work experience as a physical therapist, including patient care in the U.S., Canada, Russia, and Romania. Her research interests include the evaluation of adaptive equipment and provision of services for the disabled in the developing world. Meet the Faculty: Tolulope Noah, Ed.D. Tolulope Noah, Ed.D., is a passionate educator in the Liberal Studies/Undergraduate Education K-8 program at Azusa Pacific University. 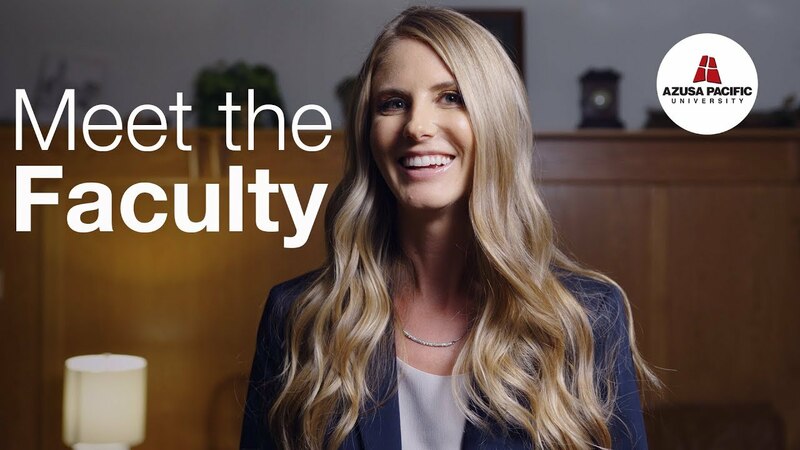 An alumna of APU, Noah immediately applied her degree following graduation by becoming a full‐time teacher through Teach for America. She later went on to serve as a professional learning community facilitator for Teach for America, leading monthly professional development meetings about effective curriculum development, assessment strategies, and instructional strategies for beginning teachers. Meet the Faculty: Rodney Sturdivant, Ph.D.
Rod Sturdivant, Ph.D., is an applied statistician and biostatistician and holds master’s degrees in statistics and in operations research from Stanford and a Ph.D. in Biostatistics from the University of Massachusetts, Amherst. His research interests are in math and statistics education and, as co-principal investigator for a National Science Foundation grant, he developed resources for undergraduate statistics courses using games. Prior to arriving at Azusa Pacific in 2016, he served as chair and associate professor of clinical public health in the Biostatistics Division of the College of Public Health at The Ohio State University. Prior to OSU, he retired as a Colonel after a distinguished 27-year career as an officer in the U.S. Army. He was selected as an academy professor and professor of applied statistics in the Department of Mathematical Sciences at the United States Military Academy, West Point where he completed his military service. Marissa Brash, DrPH, MPH, CPH, is the chair of the Department of Public Health at Azusa Pacific University and an assistant professor in the School of Nursing’s MSN program. Brash has a passion for teaching while also working on curriculum design, accreditation standards, program implementation, evaluation, and assessment. She is nationally-certified in public health and has a strong background in biostatistics and epidemiology. Her research interests include epigenetic-based autoimmune public health prevention efforts through lifestyle interventions and neuroeducation topics related to academic stress and anxiety in the STEM subjects. 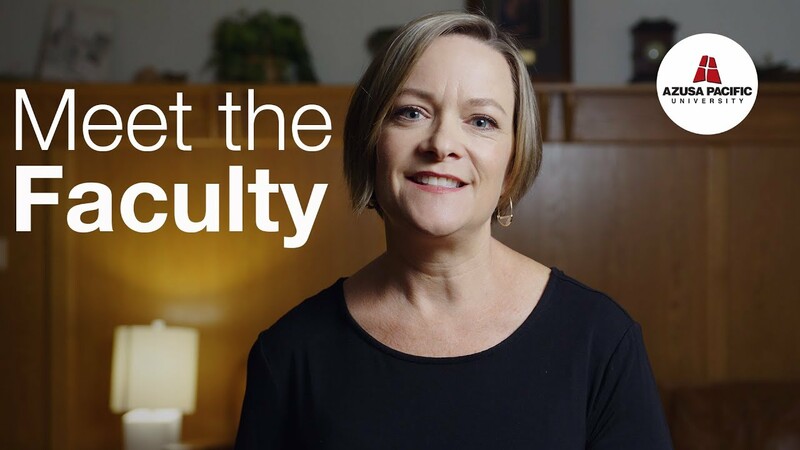 Meet the Faculty: Erin Weaver, M.A. Erin Weaver, M.A., brings years of experience working in the public education system teaching high school art in addition to teaching at Azusa Pacific University since 2011. She has taught all levels, including ceramics, beginning art, design, advanced drawing and painting, and art honors. She is passionate about working with educators who want to further advocate for the arts by demonstrating how art education has the power to create empathetic, focused problem-solvers who use these academic life skills in every facet of their lives. Wong, M. S. (2019, March). Research on ELT in Myanmar: Recommendation for teacher education. Paper presented at the TESOL International Association (TESOL) Conference, Atlanta, GA. Wong, M. S. (2019, March). Blessed are the Peacemakers. Paper presented at the Christians in English Language Teaching (CELT) Conference, Atlanta, GA.
Oropeza, B. J. (2019, March). Justification through faith in Christ or faithfulness of Christ? Updating the πίστις Χριστοῦ debate in light of Paul’s use of scripture. Presented at the Society of Biblical Literature Pacific Coast Regional Meeting, Hope International University, Fullerton, CA. Luna De La Rosa, M., & Fileta, M. (2019, March). Promoting student-faculty engagement with first-year, first-generation college students. Presented at the National Association for Student Personnel Administrators (NASPA) Annual Conference, Los Angeles Convention Center, Los Angeles, CA. DeVries, M. (2019, Spring). [Review of the book Qumran: Die texte vom Toten Meer und das antike Judentum by Daniel Stökl Ben Ezra]. Journal of Jewish Studies, 70(1), 196-198. Bivona-Tellez, C., & Setterlund, K. (2019, March). Balancing compassion with ethics: An interprofessional endeavor. Presented at the 6th National Nursing Ethics Conference, UCLA, Los Angeles, CA. Bivona-Tellez, C., Goehner, E., Soikkeli, K., & Wenner, C. (2018, June). Challenging the status Quo: ELM nursing students in ambulatory care settings. Poster presented at the Innovations in Ambulatory Care Conference, San Bernadino, CA. Bivona-Tellez, C. (2018, November). Intelligent healthcare data: Enhancing nurse leaders capabilities to empower change. Presented at the CGEN 2018 International Nursing Administration Research Conference, Decatur, GA. Bivona-Tellez, C. (2018, May). Data storytelling: Data analytics and visualization key tools for nurse leaders. Presented at the Association of California Nurse Leaders (Sacramento Chapter) Conference, University of California, Sacramento, CA. Bivona-Tellez, C., Goehner, E., Soikkeli, K., & Wenner, C. (2018, June). Challenging the status Quo: ELM nursing students in ambulatory care settings. Poster presented at the Innovations in Ambulatory Care Conference, San Bernadino, CA. Bivona-Tellez, C., & Setterlund, K. (2019, March). Balancing compassion with ethics: An interprofessional endeavor. Presented at the 6th National Nursing Ethics Conference, UCLA, Los Angeles, CA. Bivona-Tellez, C. (2018, February). Intelligent healthcare data: Enhancing capabilities to empower change. Poster presented at the Association of California Nurse Leaders Annual Meeting, Monterey Convention Center, Monterey, CA.